Director Vignesh Shivan took it to his twitter some time ago to tweet his frustration over not being able to work because of the strike. He tweeted '#BoringStrikes ! It irks to not work when every cell in your body is ready to sweat it out ! In cinema we preach so many concepts like love, friendship, positivity, salvation, unity n so much more ! But we are not practising what we preach ! difference of opinions and lack of selecting permanent solutions for important things is missing ! Inside a family to be soo happy together , complementing each other.. don't know what jinx creeped in !" 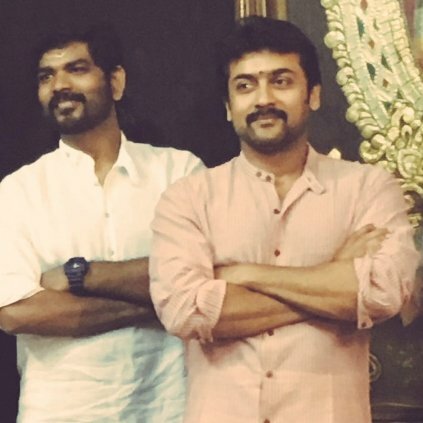 On the work front, Vignesh Shivan is currently directing Suriya's 'Thaana Serndha Kootam'. The makers of the film recently released the single track of the film which created a huge buzz and the expectations of the film is undoubtedly increasing, and the film's music album is all set to be released shortly.